Who knew Salt Lake City was a destination for Mexican food, let alone the complex and elusive molé? The city known as the home of the Church of Jesus Christ of Latter-Day Saints (AKA Mormonism) and site of the 2002 Winter Olympic Games also happens to have a Mexican restaurant so known for its unique molés that bus loads of tourists are willing to brave Utah’s brutally cold winter nights to wait outdoors for a table: Red Iguana. The restaurant itself is fairly small, and its decor exudes typical eclectic Mexican hole-in-the wall vibe. Clearly, that charm has earned them part of their appeal and keeps locals coming back for more. For those that don’t want to wait at the original, demand led Red Iguana to open a second location a few doors down. 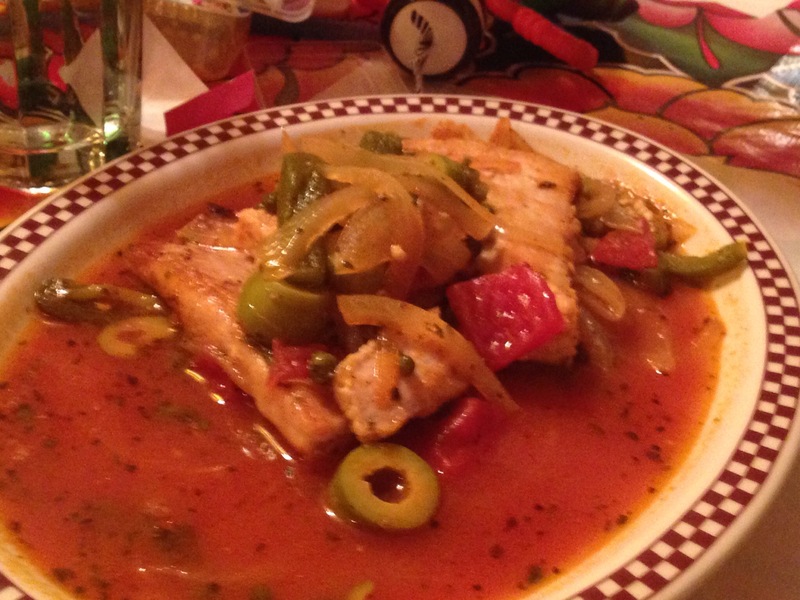 Pescado a la Veracruzano, one of Red Iguana’s great (non-mole) specialties. The menu is full of delicious dishes for those who don’t care for molé, but if you don’t dislike it, you really must try one of their molés. If you read this, thinking uh, what the heck is molé, I’m sorry, stop reading right now because you’ve been living under a culinary rock. Or in Africa. Kidding! Sidebar, I’ve had terrible Mexican in Vienna and pretty good Mexican in Phuket, Thailand, which goes to show Mexican is universally loved – and bastardized. Anyway, molé, known in the rest of the world as an Oaxacan dish, is an incredibly complex sauce that I myself want so badly to make myself. I am a bit terrified of the steps involved: toasting, sautéing, blending, and repetititon. The simplest way to describe it is a Mexican version of curry, or as a kitchen sink” sauce – a of seemingly incongruous ingredients – chicken or other stock, toasted seeds, chiles, dried fruit, other spices, and chocolate. Molé should make your mouth sing; the resulting flavors are far better than the sum of each individual ingredient – richly sweet, savory, and spicy. The traditional Oaxacan molé prominently features dark chocolate, chile, raisins, pumpkin and sesame seeds. Red Iguana takes molé to another level. It creates no less than a half-dozen different molés. 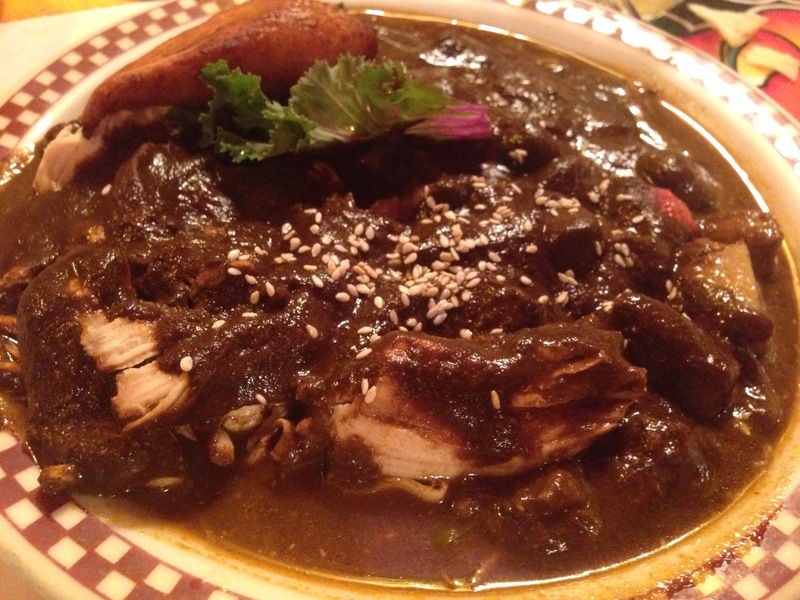 I myself tried their molé negra (black molé), which was darker in color than the typical brown molé Oaxaca. I have tried many good and bad molés in the past, and as a result, I rarely order it at a new restaurant unless I am assured it is good. Red Iguana met my expectations of good molé! Another atypical Red Iguana molé is its spicy habañero mango molé amarillo. It packs the heat and is not for the faint of heart, but if you can bear it, it is truly a rare treat! In addition, the bright orange molé Colorado, served with pork, was not quite as spicy or sweet, but it was as complex and delicious as the others. Everyone in my group raved about their molés; I should say instead that nobody raved until their plates were clean. 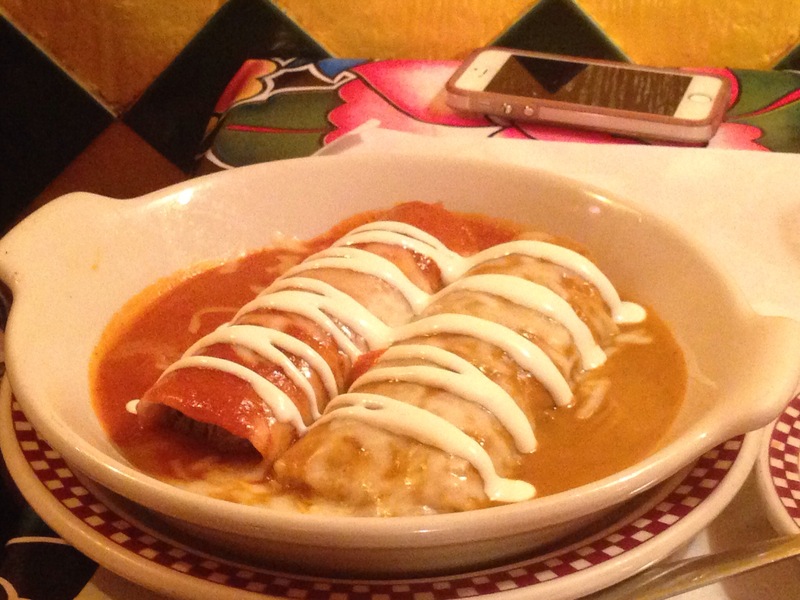 If you find yourself in Salt Lake City or its beautifully mountainous environment, step out of your Mexican food comfort zone and try a molé or two from Red Iguana.